There are few things more fun than art exhibit opening for me. This one at the Akron Art Museum probably tops the list as one of my favorites. 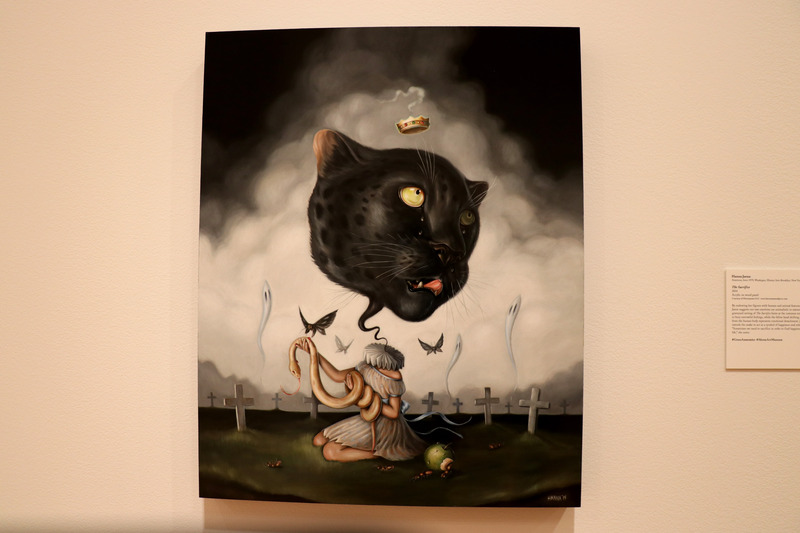 Turn the Page: The First Ten Years of Hi-Fructose showcases 51 artists who have been featured in the Hi-Fructose magazine. Each piece is unique and tells it’s own story. The items range from the current political climate to pop culture and more. Some are grotesque while others are aesthetically beautiful. 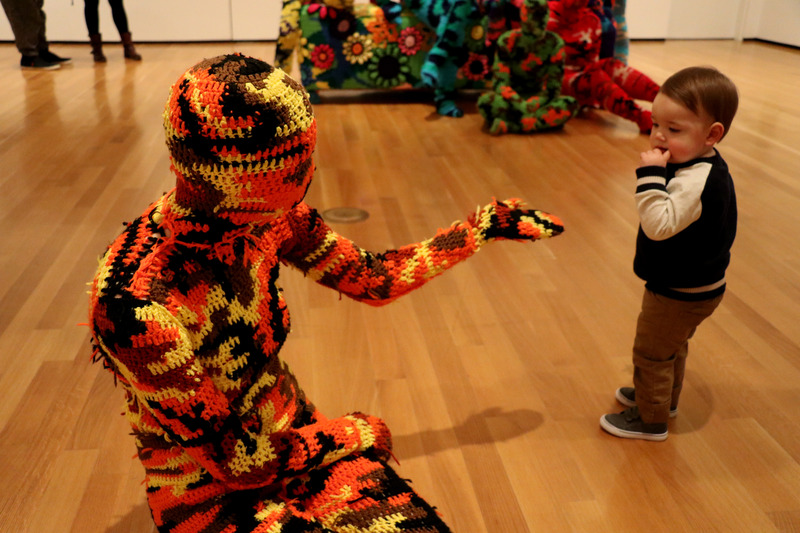 One of the artists, Olek, arrived with her crotchet people that interacted with the audience. This exhibit was something entirely unique to the area and it drove conversations. It was fun, dynamic, and full of life. I hope to continue to see exhibits of this nature that take viewers so far out of the box that they are left wondering why they ever were inside of one. I think I have two favorite pieces out of the exhibit. First would be the one below. I have seen it pop up online before and was struck by the detail of it. 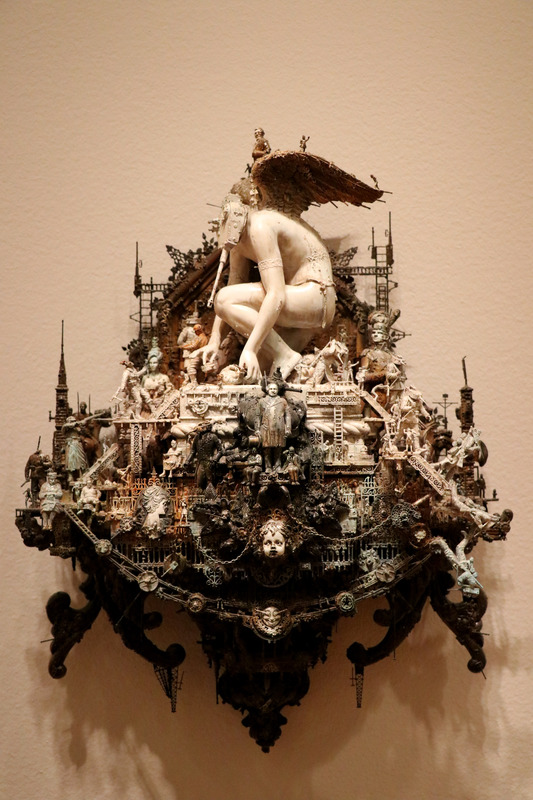 The second would probably be this work below that is eery and fascinating. The look of the rabbit eyes are uncomfortable, but breathtaking. Every Thursday, the Akron Art Museum is free for everyone to attend. They have a ton of interactive workshops based around this exhibit. 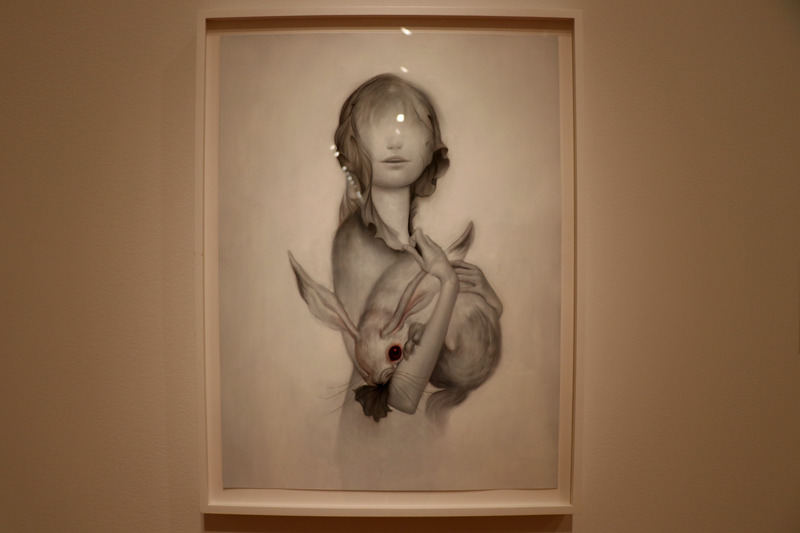 Some of the ones I find most interesting are the Hi-Fructose Inspired Drawing in the Galleries with Burrito Breath, Decoden Cell Phone Cases, Hi-Fructose Storytelling with Wandering Aesthetic, and Artist’s Talk: Beth Cavener. 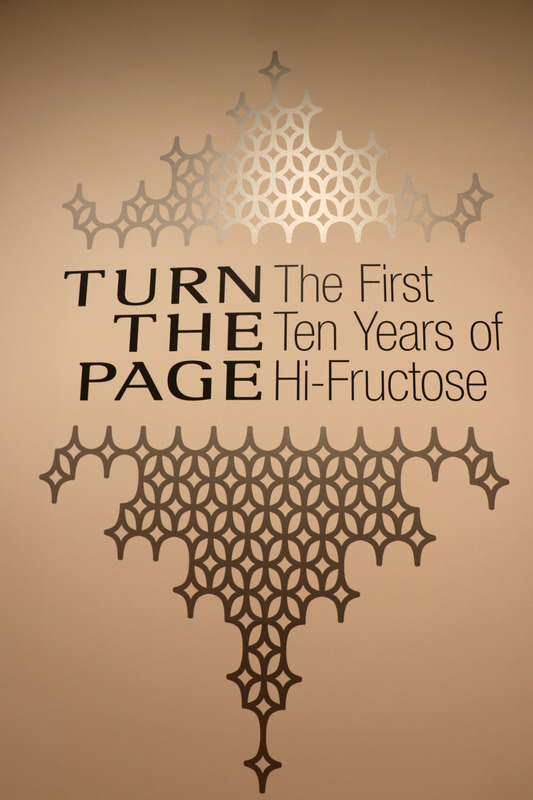 Definitely check out this exhibit and its workshops if you get a chance. There’s something for everyone there.